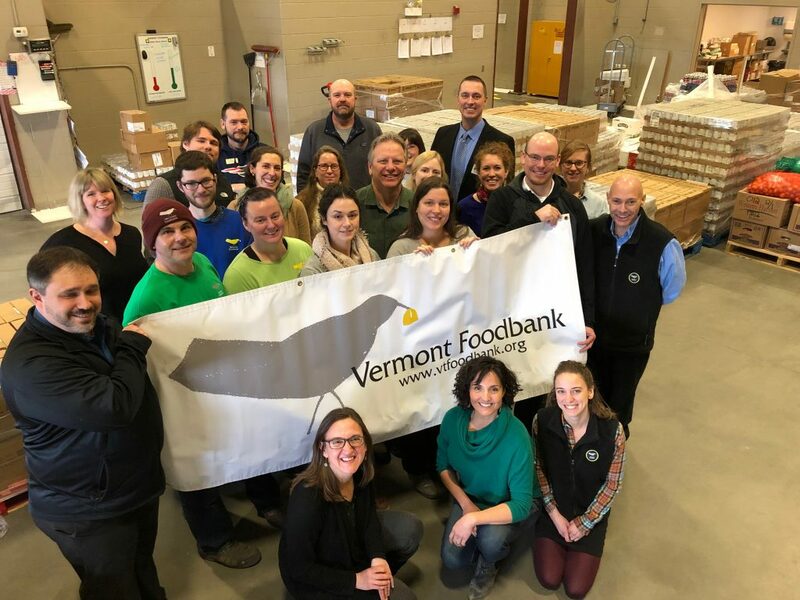 BARRE, VT – Hannaford Supermarkets and its customers donated 907 cases of food valued at $18,000 to the Vermont Foodbank as part of a hunger relief campaign that produced $1.1 million dollars in nutritious food and cash to food banks and pantries throughout the Northeast. Hannaford Helps Fight Hunger took place during the 2018 holiday season and included a you-buy-one, we-give-one component, whereby Hannaford pledged to donate identical products when customers purchased specific shelf-stable items, including applesauce, spaghetti, oats, green beans and corn. Hannaford Helps Fight Hunger Boxes: Customers purchased boxes of food staples for $10, which were donated to a local food pantry; or the customer had the option to donate the box directly to another organization. Valued at $1 million, 100,000 Fight Hunger boxes were donated to hunger relief agencies throughout Hannaford’s five state presence. Each Hannaford store determined which local food pantries to support. Register Donation: Customers donated money to a local food pantry at the register. The register donations totaled $66,866 throughout the Northeast, including $4,506 in Vermont. Buy One, Give One: Hannaford donated specific products identical to those items purchased by customers during a four-week period. Hannaford Helps Fight Hunger has generated funds and products valued at $10.1 million since the program began in 2008. The annual campaign builds off the work that local Hannaford stores and distribution centers participate in daily. Hannaford donated nearly 26 million pounds of rescued food to Northeast hunger relief in 2018.